Entertainment Earth Exclusive! This logically designed Bif Bang Pow! 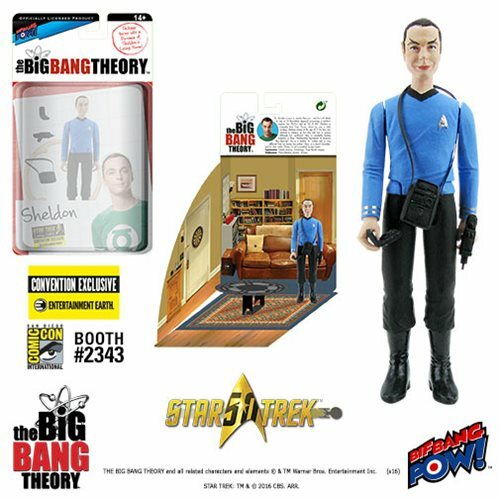 The Big Bang Theory / Star Trek: The Original Series 3 3/4-inch scale action figure of Sheldon Cooper captures Sheldon dressed in the same blue and black uniform as the legendary Starfleet science officer. This detailed rendition of Sheldon was inspired by The Big Bang Theory's second season episode titled "The Codpiece Topology". Also included are his very own Communicator, Phaser and Tricorder accessories.